Somstore is a fully functional eCommerce Online Sales system has it's own Dashboard design "CPanel" I have developed in 2014 for my final year University Project. 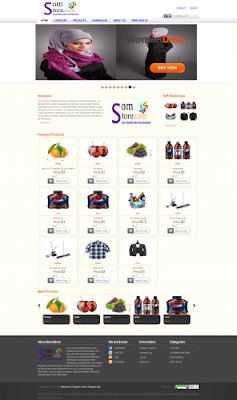 This online sales system is a kind of shop evokes the physical analogy of buying products or services at a business retailer or shopping center; the process is called business-to-consumer (B2C) online shopping. In the case where a business buys from another business, the process is called business-to-business (B2B) online shopping.